1. Taxonomic reviews, systematics and descriptions of new taxa. 2. Life history descriptions, behavioural studies and ecological research including habitat descriptions. 3. 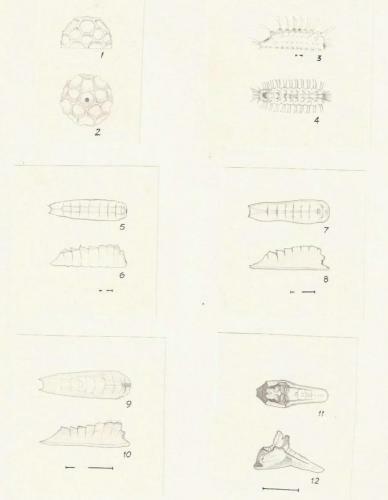 Description of the lepidopteran fauna of specific areas, with checklists, photographs and notes. 4. Conservation management including IUCN assessments. 5. Phylogenetic hypotheses based on molecular analyses and other characters. 6. Lepidoptera atlassing and distribution. 8. Methodologies applied to studies of Lepidoptera. There is in principle no limitation to the length of Full Articles. “Notes” will comprise articles of three pages or shorter. “Book Reviews” will normally be less than one page. The factual accuracy of articles and any opinions expressed are the responsibility of the author(s). The editor of Metamorphosis and the Lepidopterists’ Society of Africa (LepSoc) assume no responsibility for these articles or opinions. The editor in his/ her absolute discretion reserves the right to reject any articles not conforming to the instructions to authors given below, or which do not comply with scientific conventions. Articles must be written in English. We encourage all non-native English speaking authors to have their manuscripts read by native English speaking colleagues, and to make the recommended improvements. All copyright for contributions published in this journal belongs to Metamorphosis and/or the individual author(s), in terms of a Creative Commons license, which can be viewed at http://creativecommons.org/licenses/by-nc-nd/3.0/, and which only allows users to copy, distribute and transmit the work, whilst prohibiting commercial use and preventing alteration, transformation of, or building upon the work. The finally formatted, printed version is under the copyright of LepSoc as the publisher, although the author(s) retain the right to fully use the content of the article, provided that the publisher is acknowledged. Text extracts may be used by third parties with prior, written permission from the Metamorphosis editor and (as a minimum) the senior author. The journal name, volume, number and date of publication must be acknowledged by the third party together with the author(s) and title of the article. Metamorphosis is applying for accreditation with academic and research institutions within South Africa, and for indexing by international scientific literature databases. Articles are published on the Metamorphosis website www.metamorphosis.org.za as soon as the review process and editing has been completed as PDF documents. The Metamorphosis website is Open Access to all registered users.